The Monte Sannace Archaeological Park is home to one of the most important indigenous sites of the pre-Roman Peucetian tribe. 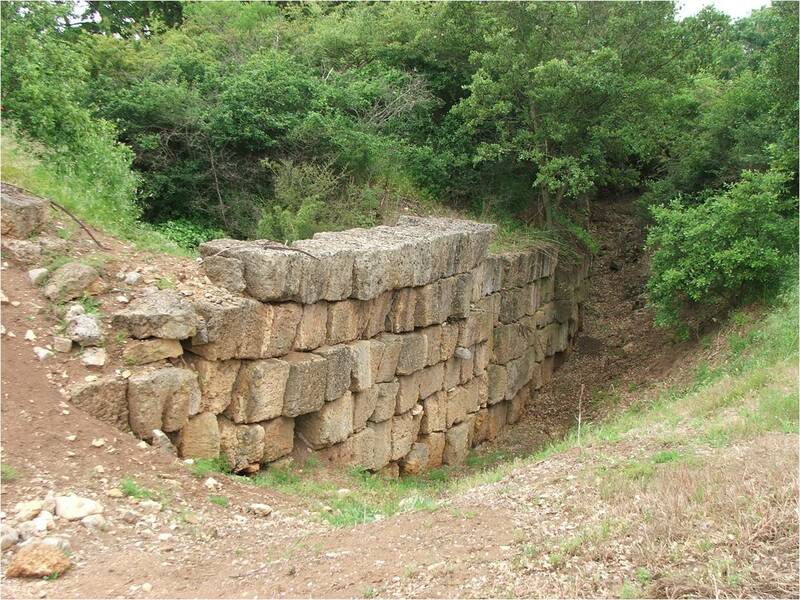 The settlement has offered up archaeological evidence dating across a vast period stretching from the Iron Age to the early Roman Empire. 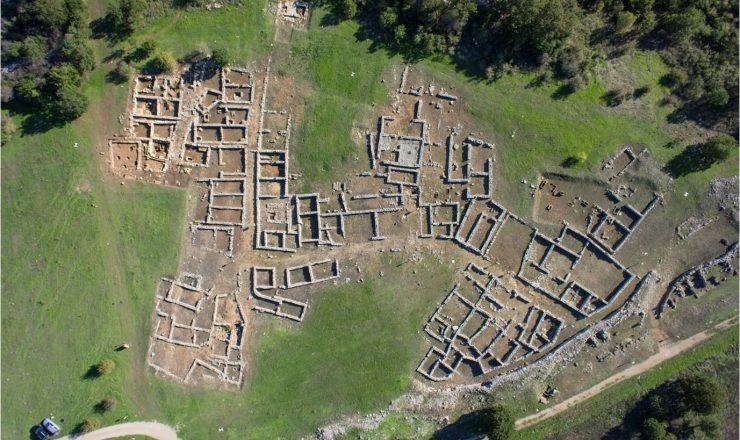 The site flourished between the 6th and 3rd centuries BC, and in particular during the Hellenistic Age. In the second half of the 4th century BC, Monte Sannace was enclosed with defensive walls that divided the settlement between acropolis and town on the plain to the west. The archaeological value of the site is complemented by its landscape, which offers visitors the opportunity to fully immerse themselves in the Murge. 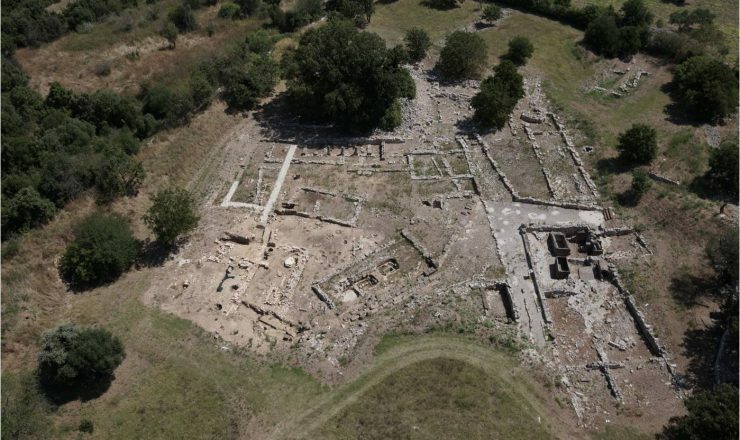 Plagued starting in the 19th century by illegal digs and pillaging, the first official archaeological dig in the area was carried out in 1929 by Michele Gervasio. 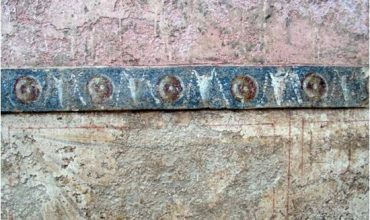 This was followed by research led by the Soprintendenza for Archaeology between 1957 and 1961, headed by Bianca Maria Scarfi, and then again in 1976, in the area of the lower settlement, and in 1978, in the acropolis, by Ettore Maria De Juliis. 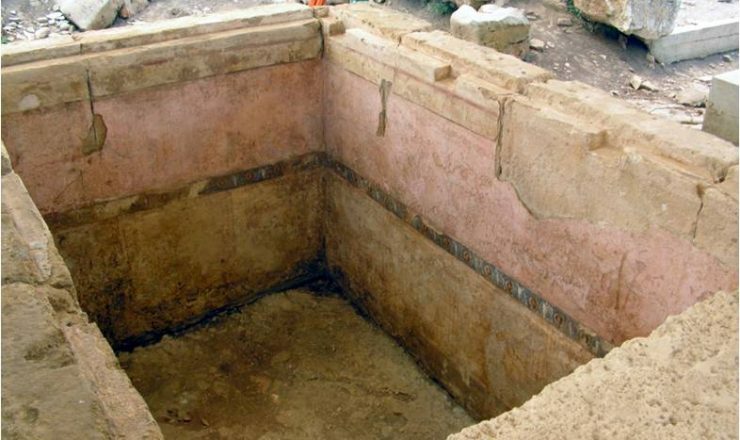 The University of Bari has had an excavation site set up in the area since 1999. The section of the ancient city that comprises the Archaeological Park has been the subject of numerous restoration and development projects, leading not only to greater knowledge of its visible monumental remains, but also to the expansion of the parts that can be visited and the creation of special educational materials and public services. Research, restoration, development and promotional activities are on-going. 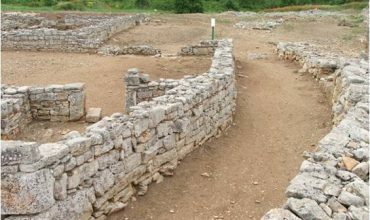 The Archaeological Park of Monte Sannace is located in a pristine Mediterranean landscape, in the middle of the Murge region. 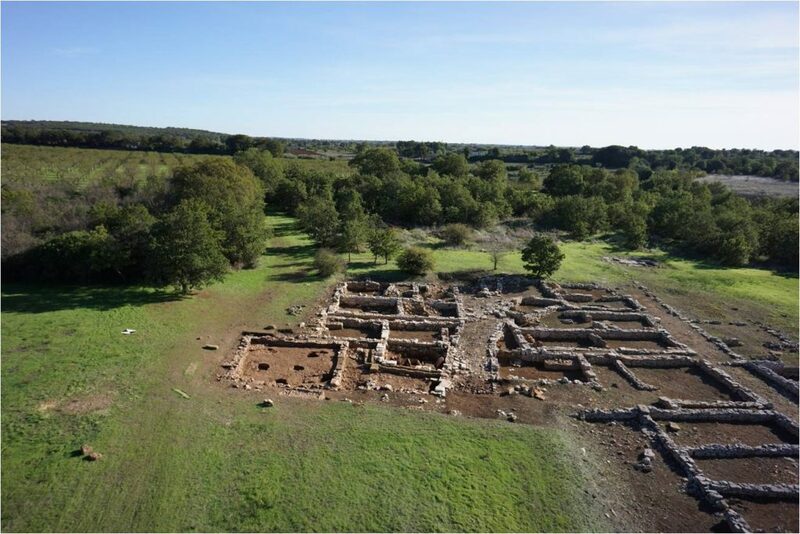 It was part of an ancient Apulian city (Thuriae?) that developed over an area greater than 50 hectares between the 7th and 3rd centuries BC. 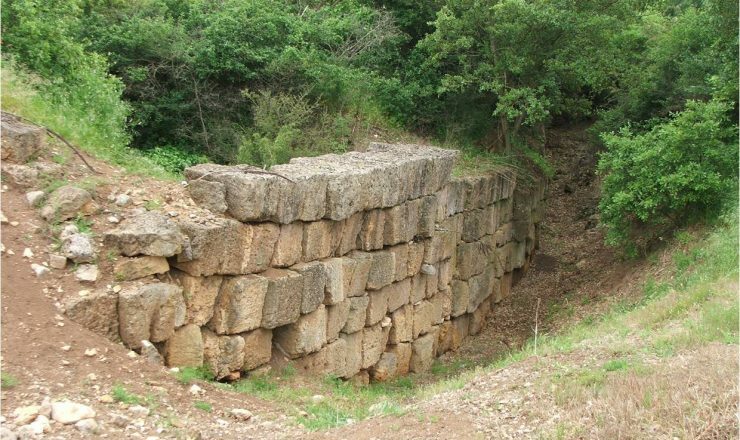 The Archaeological Park is currently accessed directly from Strada Provinciale 61 Gioia-Turi at km 4.5. The Park offers visitors two itineraries: one focused on archaeology, the other on landscape. On the first, you can observe the topographical configuration and structural features of the ancient city, while on the second you can enjoy the natural and environmental characteristics overall and discover special beauty spots. 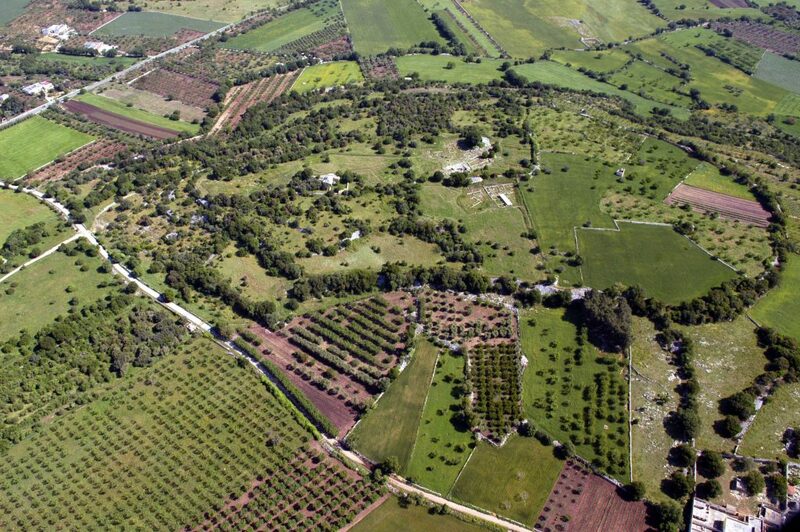 Both itineraries start at the Masseria Montanaro, located near the main entrance to the park, and wind through flat and hilly terrain, intersecting and sometimes overlapping. The best preserved section of the 4th-century-BC defensive wall of the indigenous settlement. Its calcarenite face is around six-metres tall. 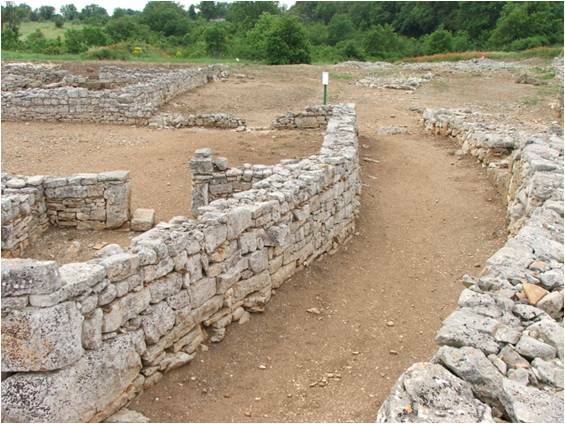 Road inside the walls of the second defensive circuit, east of the city’s ‘North Gate’. The road seems to have been used exclusively by the military. Panoramic aerial photo of the city on the plain: the first, second, third, fourth and fifth insulae (tenements). 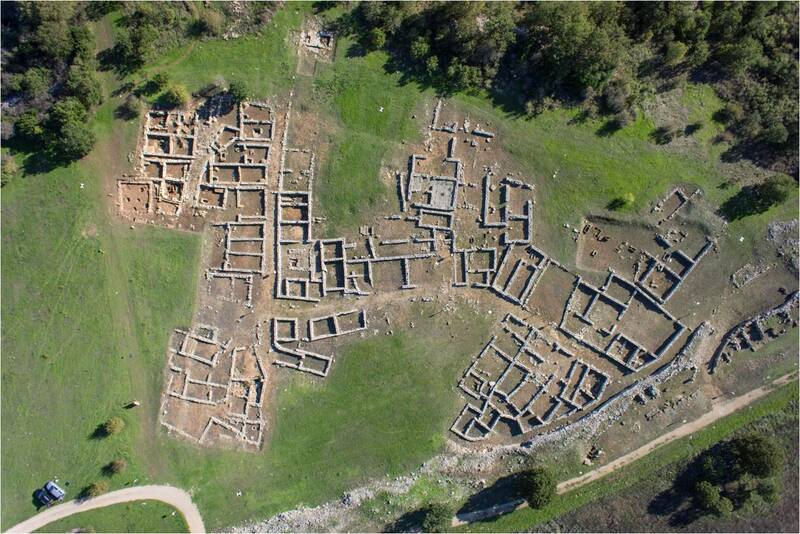 Aerial photo of a portion of the acropolis, in the middle of the plateau, showing its complex stratification, which reveals a multiplicity of functions from the Archaic Period to the Hellenistic Age. 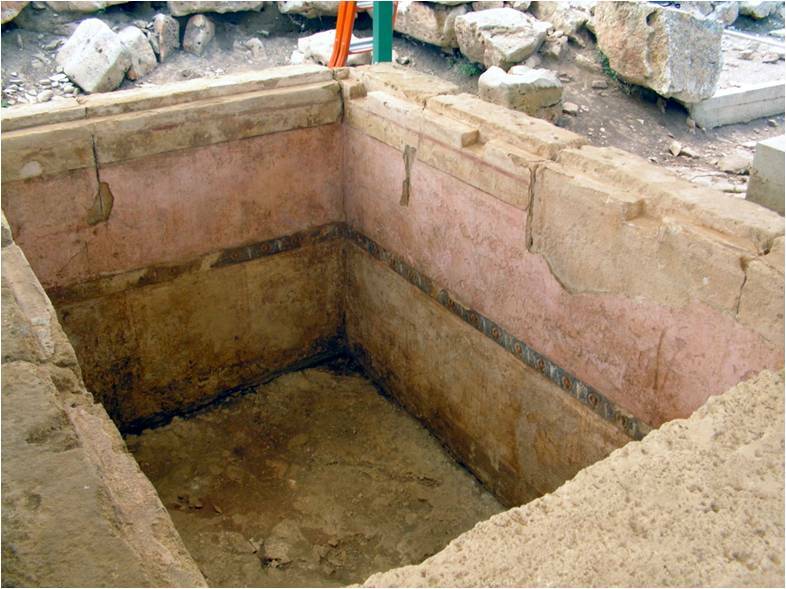 Large semi-chamber tomb (T. 8) from the Hellenistic Age with plastered and painted walls, in the south-east area of the Monte Sannace acropolis. 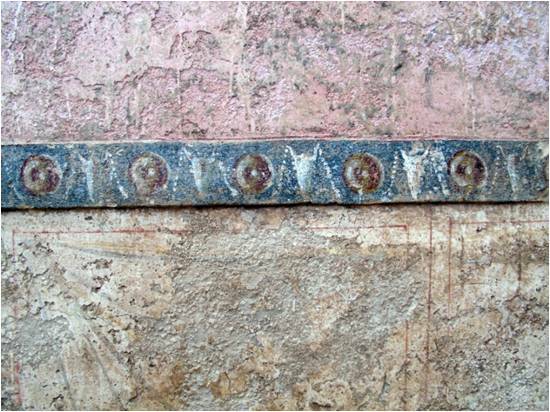 Detail of the painted decoration of the interior walls of the semi-chamber tomb (T. 8) in the south-east area of the acropolis. On a dark blue background, a series of paterae alternate with bucrania. 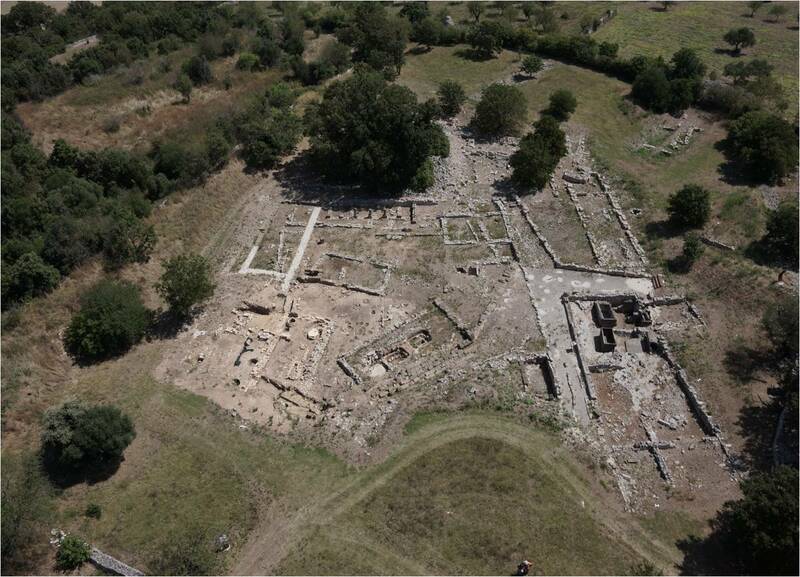 Other info: The Archaeological Park is open every first and third Sunday of the month. Travelling by car, take the A14 motorway (Gioia del Colle exit) or the Statale 100 Bari-Taranto (Gioia del Colle Est exit, direction Turi). The Gioia del Colle train station, in Piazza Kennedy, is linked to Bari and Taranto by direct trains. The closest airport is the Karol Wojtyla airport in Bari. From Gioia del Colle, take Strada Provinciale no. 61 Gioia-Turi; the park is located at km 4.5. Admission for children up to 18 years old and others as per law free of charge. Access for the differently abled guaranteed. Guided tours, run by NovaApulia, are available upon request.